Australia is in the midst of a solar revolution, and there has never been a better time to make the investment. With abundant year-round sunshine and open skies, Australia is quickly becoming a world leader in clean, safe solar power. On Boxing Day 2014, we actually experienced a new record. According to the Australian Photovoltaic Institute Solar Map, 30 percent of our power during peak usage times that day came from rooftop solar panels. As more and more people take plunge prices are falling rapidly, making solar power an affordable choice for middle-income homeowners. WHY A HOME SOLAR SYSTEM? ARE SOLAR PANELS REALLY WORTH THE PRICE? Saving money: With solar panels, you can generate your own electricity during the day and store it in a battery bank. Any power that comes from your solar panels is energy you don’t have to buy from the grid, which translate into a real cost savings. Increasing the value of your home: Solar panels constitute a real, tangible upgrade to your home. 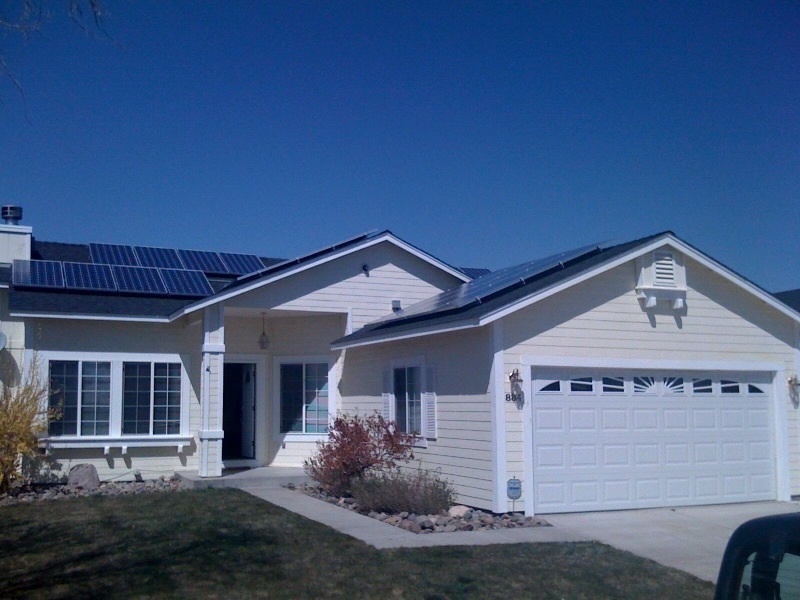 Should you decide to sell, many home buyers wiling to pay a premium for a home that already has solar energy in place. Environmental friendliness: Solar power is clean, safe, and renewable energy. Traditional fossil fuels must be excavated, transported, and burned, emitting greenhouse gases at each step that contribute to global warming. Switching to solar power reduces your carbon footprint and allows you to join the fight against global warming. Government rebates: The Australian government has instituted a number of schemes designed to help you with the costs of installing a solar power system. If you generate more power than you need, you might even be eligible for feed-in tariffs, a program by which you are paid for excess energy that you feed into the grid. WHAT IS A HOME SOLAR SYSTEM ? Literally speaking, solar energy is power that is harnessed from the sun. It is free, renewable, safe and clean. In practical terms, a solar energy system consists of solar panels that are mounted on the roof, along with an inverter, an electrical panel, a battery bank, and a utility meter. These components work together to harness the sun’s power and distribute it throughout your home. As the sun shines on your home, the photovoltaic cells in the rooftop solar panels capture the sunlight and convert it into direct current (DC) electricity. It then travels into the inverter, where it is converted into the AC (alternating current) electricity that powers a household. 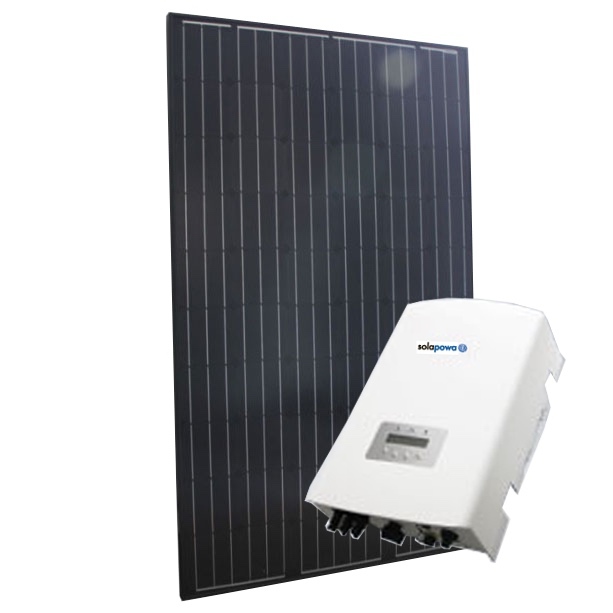 The inverter routes the AC electricity into an electrical panel or “breaker box,” for distribution to your lights, appliances, and other powered devices. Surplus electricity is diverted to your battery bank, where it is stored until needed. The utility meter keeps track of how much power you have and how much you use. Your home is still connected to the grid, only now it is a two-way street. When you generate excess energy it goes into the grid, and when you need more energy, it is drawn from the grid. WHY RITE PRICE HOME SOLAR SYSTEMS? Rite Price has earned a reputation for excellence in customer service across our heating , cooling, and roofing lines of business. With years of knowledge and experience, we know homes, we know heating and air conditioning, and we know roofs. Energy efficiency has always been core value to our business. Choose Rite Price Home Solar Systems if you’re looking for a quality solar energy system, backed by a company that has been delivering home improvements in South Australia for more than 17 years. We will supply, install, and service your home solar system, helping you add value to your home, lower your energy bills, and reduce your carbon footprint. We only use top-quality panels and inverters that are installed by our own in-house team to make sure you get the best performance and biggest cost savings. Your satisfaction is our priority. Solar panels for homes in Adelaide is becoming increasingly popular. There has never been a better time to make the investment. Give us a call today on the deals we have on our top range of solar panel systems. 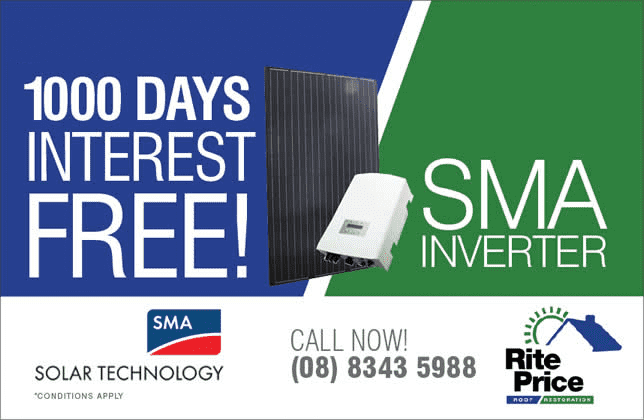 Call Rite Price Solar on (08) 8343 5988. We will schedule a site inspection with a knowledgeable technician who will draw up a detailed proposal and answer any questions you might have. As you would know, running your home on electricity can get costly, whether you are a couple or a large family. Energy costs for your home can skyrocket and surprise you at anytime. Taking advantage of the sun’s free power is a simple and easy way to cut back the costs of your energy bills and switch to a more energy efficient alternative for powering your home that is simple to install and won’t run out. Below, we will explain what are home solar systems, their benefits, and how you can run your home on a solar power system, in order to save you money. When you are jumping into the world of solar energy, there can be plenty of information and wading through this information to find out what suits your needs and the needs of your household can be confusing. In simple terms, solar energy is energy that is sourced from the sun and is a form of solar radiation. Solar energy is the light that is generated through specially created PV cells, which are made to create a photovoltaic effect when the sunshine hits the cell. Solar energy produces energy on demand and creates the least amount of emissions of all energy sources making it a real contender for energy supply for individuals looking for an energy efficient source of home energy. Solar panels can be used on all homes and properties and are not simply for city areas, but work throughout properties especially in Australia which has one of the highest rates of sunshine in the world and great weather. If you’re looking to generate electricity that works to lower energy consumption, boost energy efficiencies and cut back on your power bills, solar energy is the way to go for your home or property. A good home solar system along with a set of quality solar panels, can significantly reduce your home energy costs. There are plenty of benefits of using solar energy for your home that you might not have to consider at first glance that we will explore below. Non-polluting source of energy – one of the key reasons why many people install solar panels to their home is the assurance that this source of energy is an alternative to fossil fuels and work to provide a clean and reliable source of energy. Created using solar panels that soak up the sun’s rays, solar energy is a simple way to source energy and removes the need for using fuels that pollute the environment and can be a strain to source. A renewable form of energy – the sun will rarely if ever run out and is a free source of renewable energy for homeowners and their electricity needs. Where coal, wood, refrigerant, gas and other sources of energy might need to be sourced and paid for, the sun is a form of energy that can produce electricity that will rarely run out if ever in our lifetime. Slow down global warming – while it might be tempting to put down all the benefits of solar energy down to cost savings, there are tremendous benefits for greater society including the impact on global warming. Efficient solar panels work to create energy and electricity without placing demands on other power systems, which reduces demands on the world’s global warming pollution and slows down the process. Saves society trillions on energy – considering the cost savings of solar energy, on the whole, solar power saves communities across the world trillions of dollars in energy costs. Not only this, solar power can be used in homes, communities, infrastructure such as hospitals and many other uses allowing for a wide range of residential and commercial uses. Energy security – We all know the sun will rise and set every day and regardless of what is going on in the world, there is a security in knowing that your electricity is always going to be available via the sun’s rays. In the event of natural disaster or an unpredictable energy supply, solar power is a reliable source of energy that cannot be bought or turned into a monopoly, which could disadvantage consumers. Energy independence – being on solar power offers unique opportunities for individuals and homeowners to live ‘off the grid’ and independently without the need to be in regional or city-based locations. Opening up the possibility of living anywhere in Australia that has sunlight allows for a huge amount of independence and means homeowners don’t need to reside in locations that have energy supplies and can set up their own unique system without relying on existing infrastructure. General home energy needs – this is a wide range of uses that you would use any other electrical power for including lighting, powering your appliances, running your air conditioning unit, powering fans and all other electrical equipment throughout your home can be powered using solar energy just as you would with any other power source from electricity companies. Heating your swimming pool – this is a fantastic way to lower the running costs for your swimming pool and can allow to you enjoy your pool year round without having to encounter huge heating costs. Heating a pool using energy can be expensive and using solar power is a brilliant way to significantly reduce your running costs and allow you to avoid installing expensive equipment that uses traditional forms of electricity or ineffective pool blankets. Heat your hot water – solar energy can heat your water so that you don’t require traditional electric water heaters to service your home hot water needs. Homeowners can do away with inefficient and expensive water heaters and furnaces that opt for a cleaner way to heat water using the sun’s rays. Heat your home using the sun – solar power does have the capacity to be used to help heat rooms in your home and keep your indoor environment warm and cosy. By having water heaters powered by solar, you can create heating for a wide range of options throughout your home. Battery charging – one of the latest developments in the world of solar energy is the ability to store solar energy for future use should it not be used. Using solar batteries eliminates waste and allows for reserves of energy to be stored so that it can be used during the evening and at times when you require increases amounts of energy. Often unused solar energy is fed back into the grid and re-used or sold, however, if property owners wish to use this energy and store it in batteries, this can be done. Outdoor lighting – using the sun to create electricity isn’t simply isolated to the interior of the home, solar energy can be used for outdoor lighting and outdoor areas to ensure the running costs of the home are kept to a minimum. Solar lights can be independent of the main solar panel system or hooked up to the main house, and save huge amounts of energy and takes advantage of the sun to provide an enjoyable outdoor environment. Adelaide home with a home solar system. How are solar panels installed on your home? A home solar system consists of a range of components which should be installed by a solar panel installation expert. The components include solar panels or modules, a mounting system which sites on your home’s roof, controllers and batteries if required. As most solar panels are installed on the roof of the home, the property does require adequate space on the roof to mount the panels however if required they can be installed on the ground, on poles or a unique system if the roofing does not allow for panels to be directly attached to the roof. Most homes in Australia have the capacity to take panels without any retrofitting, and typical composition of a roof will allow for panels to be installed without too much fuss. Solar panel experts should be contacted to install your solar panels because they are experts in their field and can install a system that perfectly matches the needs of your property. Solar experts such as Rite Price Solar understand the different types of solar panels available, the government incentives available to you, the correct installation procedures and can install your panels to connect to the grid. As well as this, solar panel professionals are backed by insurance and warranty and will ensure your solar panel system is working properly and lowering the costs of your energy bill. If you’re looking for a safe, clean and renewable source of electricity that will dramatically cut your energy bills, look no further than solar power. Get a Free Quote Today – Enjoy big rebates on your home solar system and solar panels, while they are still available! To find out more information about solar power and installing solar panels, speak with the expert team from Rite Price today or visit us at our showroom to speak with our sales team and to arrange an on-site quote at your property.